Hi there! 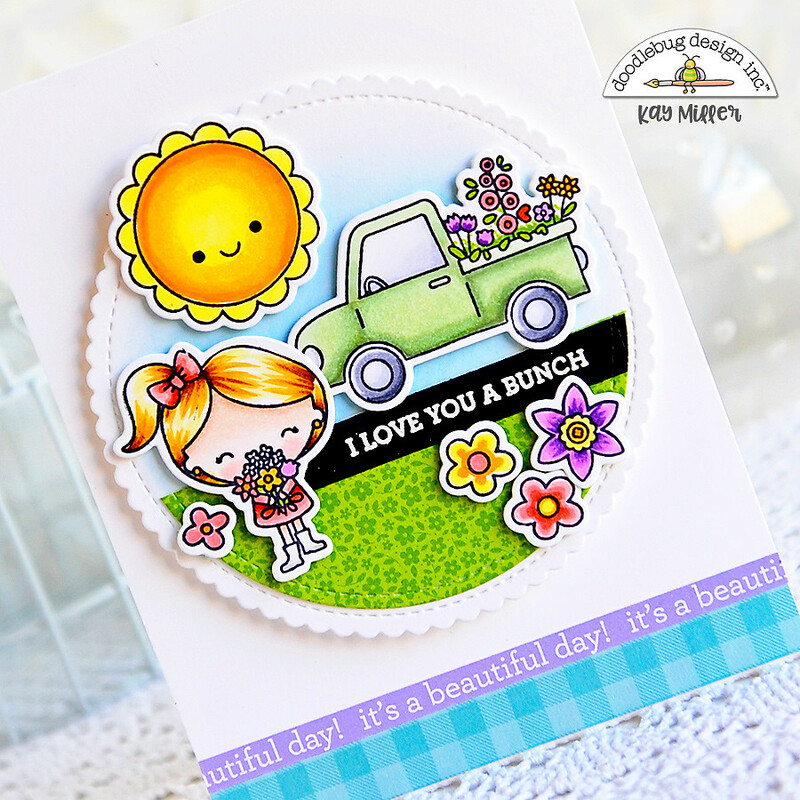 I'm excited to share a couple of cards with you today that I created with the super cute new stamps from the Simply Spring Collection. 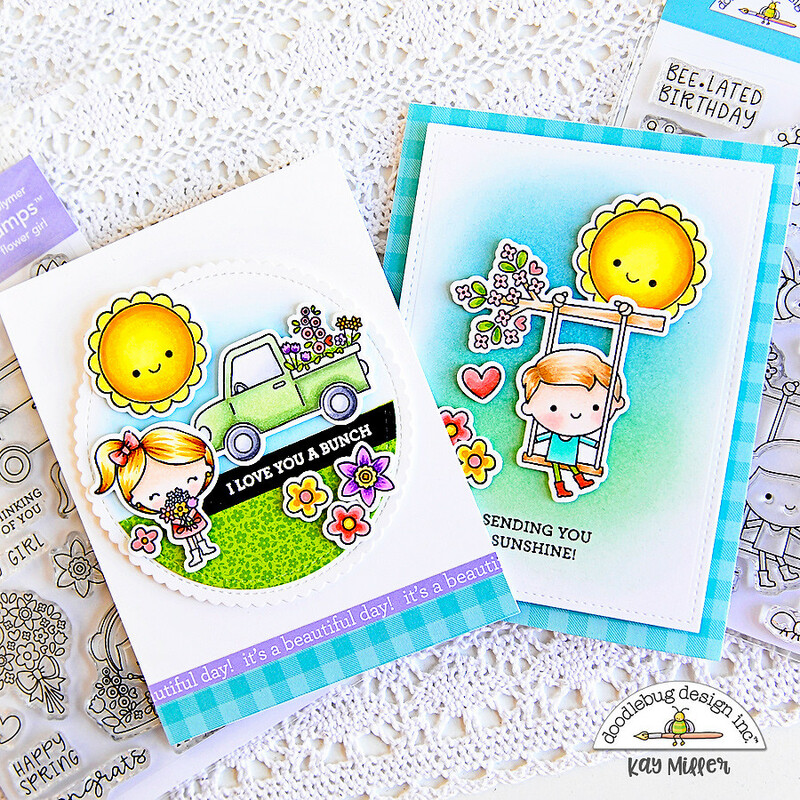 There are two stamp sets, Flower Girl and Oh Boy! I made a card featuring each set, but used stamps from both sets on each of them. They go together perfectly! So my first card is using primarily stamps from the Flower Girl stamp set along with the coordinating dies. 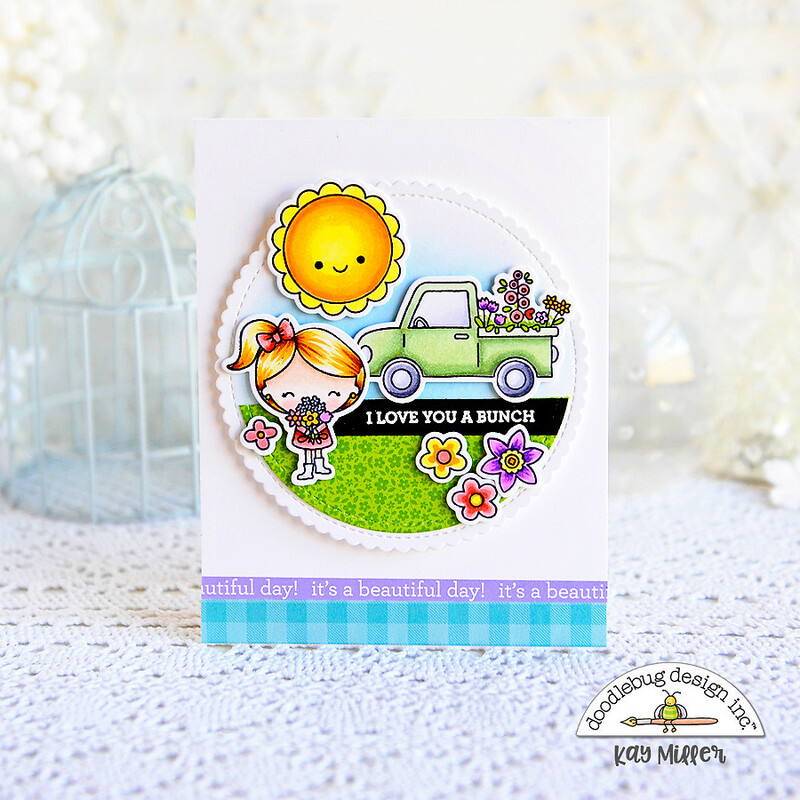 I used a scalloped circle die to create a background. I blended some distress in along the top, and added some grass along the bottom by cutting out a half circle of green patterned paper from the Floral-Graph Rainbow Petite prints paper pack. The two papers along the bottom of the card are from the 6x6 Simply Spring paper pack. 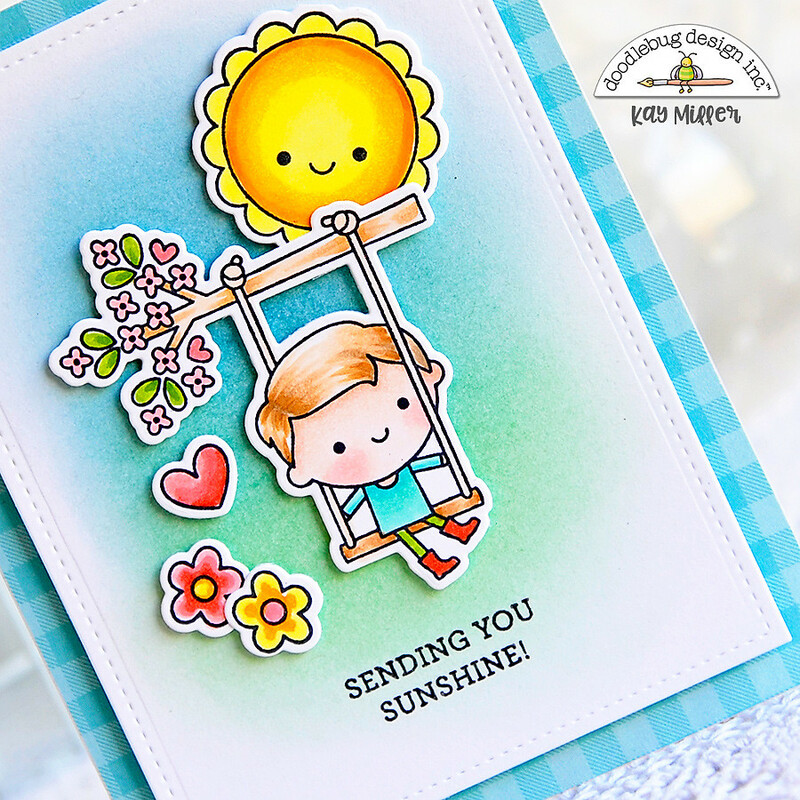 All of the cute images were colored with Copic markers, cut out with the coordinating dies, and added to the card with foam tape. The sentiment was heat embossed with white embossing powder. My second card features mostly stamps from the Oh Boy! stamp set. 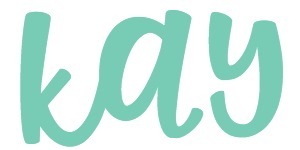 I created a soft background by blending some blue and green Distress inks onto my white background. I mounted this onto an A2 size card base covered with patterned paper from the 6x6 Simply Spring paper pack. All of the cute images were colored with Copic markers, cut out with the matching dies, and added to the card with foam tape. 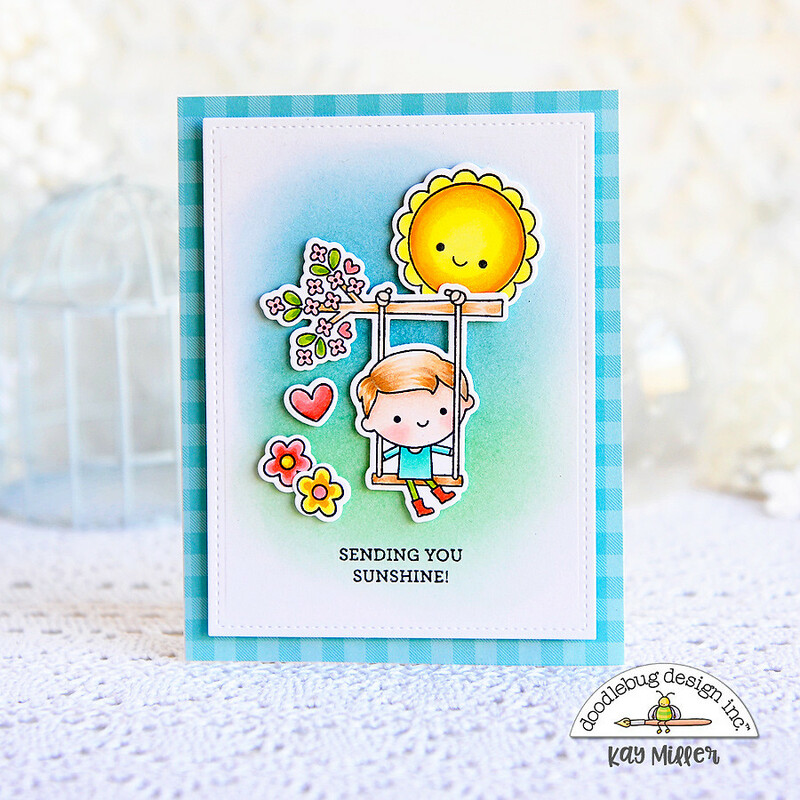 These bright happy scenes are perfect for spring. Thanks for sharing this inspiration with these fun products. Two beautiful cards! Lovely bright colors!